Brian Dirck is unable to visit the shop today. The show will be rescheduled soon. Join us when we welcome Brian R. Dirck back to A House Divided. 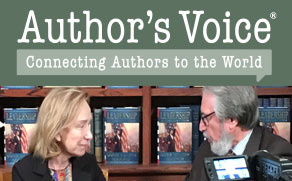 We’re live on the Author’s Voice Facebook page and at AuthorsVoice.net, February 20th at 3pm (C). Dirck will talk with Daniel Weinberg about his latest book, The Black Heavens: Abraham Lincoln and Death. Dirck brings us the first in-depth account of how the Lincoln responded to the riddles of mortality, undertook personal mourning, and coped with the extraordinary burden of sending hundreds of thousands of soldiers to be killed on battlefields. From multiple personal tragedies to the terrible carnage of the Civil War, death might be alongside emancipation of the slaves and restoration of the Union as one of the great central truths of Abraham Lincoln’s life. Yet what little has been written specifically about Lincoln and death is insufficient, sentimentalized, or devoid of the rich historical literature about death and mourning during the nineteenth century. Going beyond the characterization of Lincoln as a melancholy, tragic figure, Dirck investigates Lincoln’s frequent encounters with bereavement and sets his response to death and mourning within the social, cultural, and political context of his times. At a young age Lincoln saw the grim reality of lives cut short when he lost his mother and sister. Later, he was deeply affected by the deaths of two of his sons, three-year-old Eddy in 1850 and eleven-year-old Willie in 1862, as well as the combat deaths of close friends early in the war. Despite his own losses, Lincoln learned how to approach death in an emotionally detached manner, a survival skill he needed to cope with the reality of his presidency. Dirck shows how Lincoln gradually turned to his particular understanding of God’s will in his attempts to articulate the meaning of the atrocities of war to the American public, as showcased in his allusions to religious ideas in the Gettysburg Address and the Second Inaugural. Lincoln formed a unique approach to death: both intellectual and emotional, typical and yet atypical of his times. In showing how Lincoln understood and responded to death, both privately and publicly, Dirck paints a compelling portrait of a commander in chief who buried two sons and gave the orders that sent an unprecedented number of Americans to their deaths.